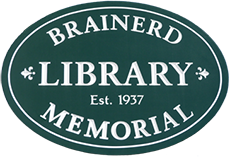 THE NORTH DANVILLE BRAINERD MEMORIAL LIBRARY was the gift of one of Danville’s favorite sons, Charles Brainerd, who was born in 1842, fought through some of the darkest days of the Civil War, and returned to this area to live another 70 years in the town he called home. Though Charles considered himself a farmer, he served a term as side judge in the Caledonia Court and two terms as state senator. 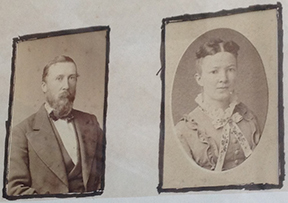 He and his wife lived a simple life and left a remarkable estate to public institutions in Danville. Part of this estate was left to establish a library in North Danville, which incorporated as the North Danville Brainerd Memorial Library on January 23, 1937. With consent of the school director, the library voted to locate in the Schoolhouse Assembly Room, and so came to be used extensively by the school children as well as the community. In 1989 the grades that were schooled at the North Danville School were moved to new space in the Danville Village School. The following year, in July of 1990, the Trustees met to reactivate the library, electing new officers and voting to ready two classrooms to house the collection. The Library officially re-opened on January 20, 1991 with an open house, and has served many young and adult readers through the years since then.